Former state Sens. 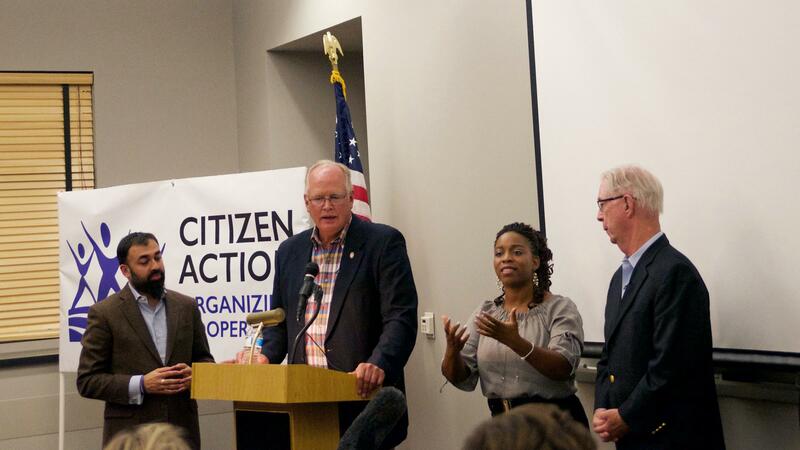 Dale Schultz, at podium, and Tim Cullen discuss gerrymandering in Wisconsin. 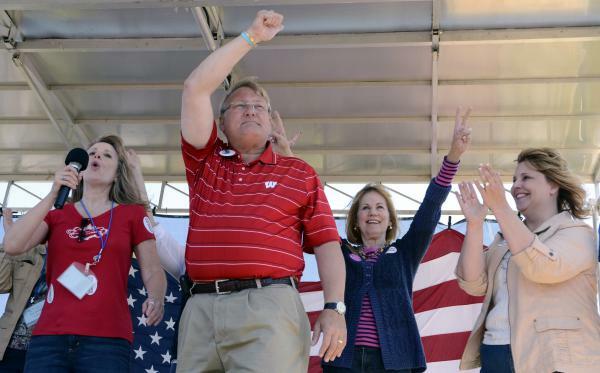 Wisconsin state Sen. Van Wanggaard (center) attends an event at Gorney Park in Caledonia, Wis., in 2012. 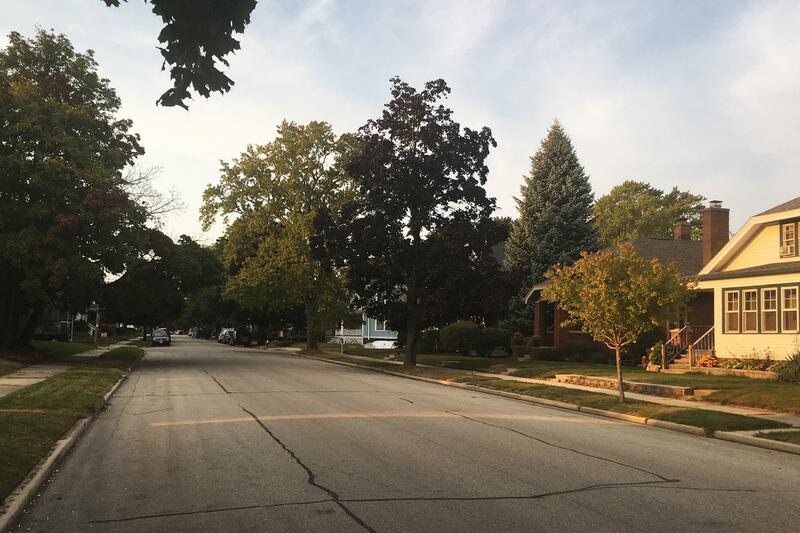 Wisconsin Sen. Van Wanggaard's leafy neighborhood in Racine, Wis.
Gerrymandering is "about rigging elections," says former Wisconsin state Sen. Tim Cullen. "The elections are decided the day the map is drawn." It's not against the law for politicians to consider politics when redrawing districts, but the situation in Wisconsin stands out for its aggressiveness. After Republicans mapped out new district lines in 2011, they've maintained an iron grip on power. They've snagged a sizable majority of the state legislature without a sizable majority of the vote. For example, in 2012, Republicans won 47 percent of the vote statewide but secured 60 percent of the assembly seats. They did that through a combination of dispersing and concentrating Democratic voters. To see how that new political order has affected the lives of residents, we focused in on one of the most dramatically reconfigured districts in the state, the one that now belongs to Republican State Senator Van Wanggaard in Racine. UNIDENTIFIED MAN: Situated on the shores of Lake Michigan, Racine blends a city environment with coastal charm. 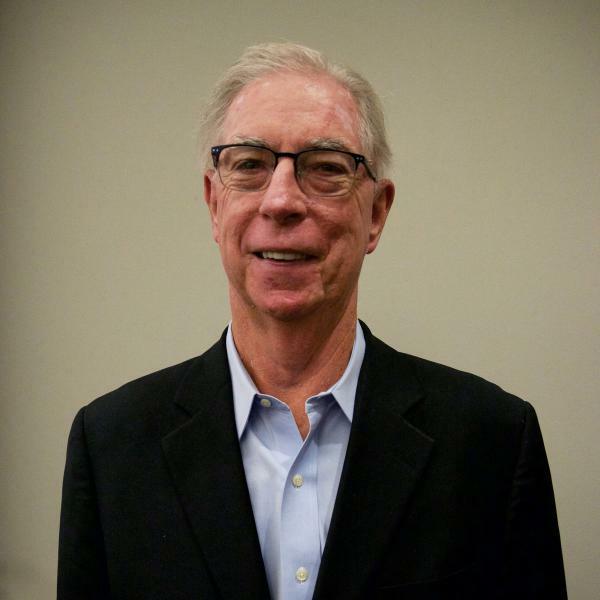 CHANG: That city environment in Racine County leans Democratic. Republicans made Wanggaard's district a lot safer by carving that part out. But that part is also where Wanggaard lives. And his Republican colleagues didn't want to make him move, so they drew the new line very carefully, just to include his house. KELLY GALLAHER: See; he's on Blaine Avenue right here. CHANG: Kelly Gallaher is a Democrat and a longtime Racine resident. She showed me the current district line at a neighborhood coffee shop. GALLAHER: That is where the line is. We took a quick walk over to Blaine Avenue where the state senator lives. GALLAHER: Van Wanggaard's house is right there. CHANG: Oh, this guy right here with the American flag in front? CHANG: His home is gray and white, two stories with a big front porch. It blends seamlessly into the rest of this quiet, leafy street. But there's an invisible line that saws off his neighbors three houses down and dumps them into another political territory. GALLAHER: These kids go to the same school. They have the same alderman. They go to the same churches. But they have been divided. And it's pretty clear that they've been divided for reasons of political expediency than for the wealth of the community. CHANG: Gallaher is no longer in Van Wanggaard's district. Now she's packed into another district with a lot of other Democrats. She could show up to the polls or not. The result would be the same. And her Democratic neighbors who are still in Wanggaard's district are so outnumbered now; she says their votes don't matter either. GALLAHER: When you live in a district which has been scientifically figured out in advance, it doesn't feel like, when you walk in to vote, that it is going to make any difference at all. CHANG: So it sounds like what you're saying is, like, the real harm of partisan gerrymandering is this feeling of demoralization. CHANG: Why should I be involved if it doesn't make a difference? GALLAHER: The truth is, Van Wanggaard - he's going to win no matter what. I liked it the way that it was before knowing that it had been competitive. Even when it has been a Republican in the office, I always felt like that person was going to listen to me because they really had to. Now I just - I don't even think I would get a returned phone call. CHANG: The story of how these district lines came to be goes back to the spring of 2011. Republicans had control of both chambers in the state legislature and the governor's office. The results of the census had just come out, which meant there was an opportunity to redraw districts. And Republicans grabbed that opportunity inside a room at a law office in Madison. GOP lawmakers showed up one by one to secretly sign off on the new district lines. DALE SCHULTZ: Well, it was a short meeting, about five minutes. And I was shown the map that had been drawn for me in the law office library or something. I looked at it, and it was obvious to me that I'd have no trouble getting re-elected. CHANG: Republican Dale Schultz was a state senator at the time. He had been in the legislature for decades. And he says at that moment in that map room, he didn't realize how aggressively Republicans were using complex mapping models to engineer districts they could easily win. SCHULTZ: I didn't realize the power that was suddenly there and available to redraw these districts to such an immense advantage. CHANG: Were you asked at one point during this meeting to sign a confidentiality agreement? CHANG: All of this was done in total secrecy. Now that Dale Schultz is retired, he is speaking out, arguing that this kind of partisan gerrymandering is bad for democracy and that district lines should be drawn by an independent, nonpartisan commission. But Republicans who are still in office in Wisconsin have adamantly defended this redistricting plan, like the speaker of the assembly, Robin Vos. He says redistricting is a political task best left to politicians. Vos declined an interview with NPR this week, but when he spoke with the Milwaukee Journal Sentinel in 2013, he said he doesn't want some faceless bureaucrat drawing district lines. ROBIN VOS: I want to go the other direction, which is to have elected officials make decisions, stand up for what they believe in. And then ultimately the voters will decide. CHANG: Well, the voters can't exactly decide because partisan gerrymandering is meant to protect whomever's in power. Now, when Democrats have been in power, they have done plenty of partisan gerrymandering, too. TIM CULLEN: You can go to Maryland. You can go to Rhode Island. You can go to Massachusetts. The Democrats with all the power abused their power and gerrymandered. CHANG: Tim Cullen's a Democrat. He's also a former state senator in Wisconsin. And he's teamed up with his former GOP colleague Dale Schultz to speak out against Wisconsin's district maps. I caught up with both of them in Milwaukee. SCHULTZ: I think the two of us saw the impact that this polarization and anger was having on our friends and our neighbors, and we wanted to set an example. That's what we decided to do. CHANG: What they decided to do is crisscross the state to teach people about gerrymandering. It's sort of like a bipartisan buddy tour. CULLEN: Hi. How are you? UNIDENTIFIED WOMAN: How are you, Sir? Good to see you. CHANG: They show up at evening venues like a public library in Milwaukee. CHANG: OK, fun might not be the first word you'd associate with gerrymandering. But Shauntay Nelson is trying her best to fire up this crowd. She holds up a Snickers bar and a Twix. NELSON: Who are supporters of Snickers? Just raise your hands. CHANG: All right, Snickers clearly has more votes than Twix. It's not even close. NELSON: Although there were more votes for the Snickers, Twix is going to win. And you may say, well, that's unfair. Well, that's what we're going to talk about today. CHANG: She goes on to explain that Twix are the Republicans here, and Snickers are the Democrats. She plays videos, whips through some powerpoint slides. And then Senators Tim Cullen and Dale Schultz take it away. CULLEN: This is about rigging elections. The elections are decided the day the map is drawn. CHANG: Cullen says it's important to speak out now to ensure the right to vote actually matters. Schultz says it may be easy to feel powerless as voters, but actually, this is a moment when public engagement is crucial. The justices on the Supreme Court need to see that people care. SCHULTZ: And you know, these are people who do the best they can to apply the law. But as they discern what to do, they need to hear the voice of all of us. CHANG: The Supreme Court has been reluctant to weigh in on partisan gerrymandering in the past, but the people in this room tonight actually seem kind of hopeful that maybe this time, their side will win. CHANG: Gill v. Whitford will be argued before the Supreme Court next Tuesday. Transcript provided by NPR, Copyright NPR.